Indian residential schools were designed to “take the Indian out of the child”. Over 150,000 children were taken from their families and placed in these schools. It is estimated over 6,000 died while attending the schools. This is a very significant and dark aspect of Canada’s history yet so many non-First Nation Canadians remain unaware of this national tragedy. 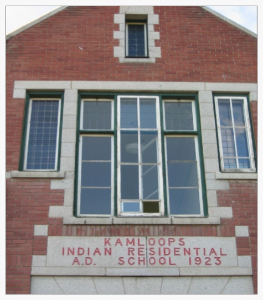 Residential schools are not ancient history – the last one closed in 1996. It is not until every Canadian gains a deep understanding of the ongoing impacts of the residential school system that we will cease to hear “why don’t they just get over it”. Reconciliation is not tangible and it doesn’t have an end date – it is a force that everyone needs to get behind and support. In the words of my father "we are all in this together." This slim little book by Bob Joseph has been described as "essential reading" for all Canadians. Click book cover to read some testimonials and/or order a copy.